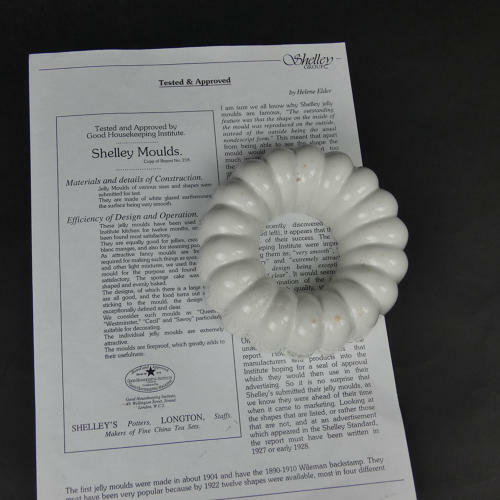 A Shelley, small sized, fluted ring mould. This shape was made in three different sizes, with this being the smallest and the most difficult to find. It is marked 'Shelley' within a shield, with 'ENGLAND' beneath and it dates from c.1920. Many of Shelley's moulds were named after London hotels and this one was known as the 'Victoria'. It is in excellent condition.